It may sound like a cliché, but it's true – when it comes to customizing your smartphone experience, no platform comes close to what Android allows you to do. And we're not just talking about rooted devices here, as you can carry out a number of tweaks without having administrator privileges, the majority of which as simple as downloading an app through the Play Store. Indeed, whether you're thinking of substituting your current, default launcher with a new one, or are simply looking for a less involving homescreen redecoration with a new wallpaper here and a fresh widget there, chances are that our weekly columns on Android customizations have plenty of suggestions to make your life easy. Today, however, we take a look back at what February brought to the table, and picking only the very best that. Believe it or not, in any given month, the vast Android app developer scene comes up with at least a handful new launchers for your device. Not all of them are particularly good out of the gate, but some show more than enough promise to land on our list today. Here follow the best February had to offer. Wave Launcher, unlike your typical launcher, is focused on doing just one thing great – allowing you to multitask and tab between your apps easily. This is achieved by setting a trigger area which you can use to launch a wave-shaped ribbon with all your favorites in it, including apps and widgets. Best of all, beyond the initial launch, this is a tap-free procedure, as you just have to slide your finger across the icons in order to pick one. If you're looking for an Android launcher that will allow you unleash your creative imagination, then Total Launcher is one piece of app code you should try. Essentially, Total Launcher's entire idea is to allow you to customize every bit of homescreen space to your liking. This will require some hard work, of course, but if you're dead set on a particular look, then Total Launcher is a great starting point. A bit like Wave Launcher, SlideUP Lollipop Launcher also specializes in providing you quick access to your arsenal of apps by replacing your app dock (the apps at the very bottom of your homescreen) with folders that are activated by sliding up. Widgets galore! As you'll notice, most of these are based on the amazing, highly-customizable DIY Zooper Widget, and that's actually a stamp of quality. Let's see what February brought us! If you have the amazingly clever Zooper Widget installed and are looking for a decent theme for it, Susnet for Zooper Widget is among the best we've seen lately. It includes a skin for the time, weather, and app shortcuts. If Valve's Steam gaming platform boots up at the same time as your home computer, then it's safe to say that Widget For Steam is tailored for you. With it, you get information on the latest discounts, new games, and friend statuses. If you're into minimal design, then the EXO Weather For Zooper widget should land right up your alley. It offers a number of different skins for weather, most of which pretty slick. If EXO - Weather for Zooper wasn't quite as minimal as you'd like, then Pop it! - Zooper Skins is the widget you've been looking for. And lastly, Funpack Zooper Theme. As the name implies, this is yet another widget skin for Zooper, and one we quite like. Like the previous two, minimalism played a major role in design, and the results are honestly beautiful. It's about time we talked icon packs. Tens of those come out every month, and you'll be surprised just how good some of them are, not to mention that many of these packages contain tons of skinned icons and are supported by a wide range of third-party launchers. Disc will treat you to 900+ circular icons that are completely suited for pixel-rich Quad HD displays, many wallpapers, and theme-masking for any icons that are not included in the pack. It will work best with: Nova, Apex, Action, Aviate, Themer, Smart, Atom, Inspire, KK, Solo, Holo, ADW, Nine, Unicon, XGELS, CM11 Theme Engine, and possibly other launchers and tools. This icon pack comes with some 700+ icons, bi-weekly updates with new ones, and a dashboard for requesting new icons. Works with all popular launchers. This icon pack houses more than 1,000 flat icons, 4 wallpapers, icon request tool, masking for all other icons, and alternative icons for certain apps. Works with Action Launcher, ADW Launcher, Apex Launcher, Atom Launcher, Aviate, Go Launcher, Holo Launcher, Inspire, KK Launcher, Next Launcher, Nova Launcher, Smart Launcher, as well as Launchy Widget, Themer, Unicon, and others. BLACK+ boasts the respectable number of 3,600 OnePlus One-inspired icons and more than 60 wallpapers. It is said that BLACK+ will work with all of the popular launcher. Inside Ovo you will find more than 1,900 icons, 8 wallpapers, and icon support for dynamic calendars, which means that every day your calendar icon will change according to the date. Lastly, let's talk wallpapers. Now, unlike the rest of the customization tools on this list, these can be used and enjoyed by anybody, regardless of whether you have an Android phone or not. What's more, while these have been hand-picked to be both beautiful and high resolution (higher than your Quad HD display, even), they will still work on your 1080p or 720p resolution smartphone. 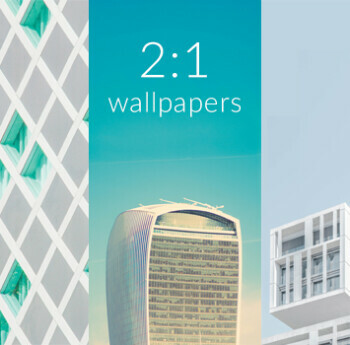 They'll even look better than a competing, resolution-fitting wallpaper. The images in the gallery have been re-sized to save you some bandwidth and time. You can download the full-sized versions from here.